The easel sign on a corner of Jefferson Boulevard and Harrison Street can be hard to see amidst the construction at the downtown Courtyard at the Marriott. But there it stands, announcing the impending arrival of Conner's Kitchen + Bar. The restaurant will be taking over the space vacated by Champions Bar & Grill. Conner's Kitchen + Bar will open this spring with a menu focused on elevated Midwest cuisine, craft beer and cocktails. It's the second location for this particular concept. A Conner's opened in April at the Marriott in downtown Indianapolis, offering everything from breakfast to dessert. Menu items include lemon buttermilk pancakes, the Big Cheese sandwich (a grilled cheese with five varieties on buttered sourdough! ), lump-crab hush puppies and hickory-smoked baby back ribs. The craft cocktails include the Prickly Pear Marg, a cranberry mule and pomegranate bourbon sour. In addition to an updated concept, the corner space will have a refreshed look. Modern lighting hangs from the high ceilings, as do greenery and television screens. The bar has been expanded, the floors have been redone and a grab-and-go breakfast area added. There is a hiring event for Conner's Kitchen + Bar from 6 to 8 p.m. Jan. 23 at Fortezza Coffee, 819 S. Calhoun St.
Building on the principle of culinary diplomacy, Joseph Decuis will host Buddhist monks for a special dinner Friday. The event is a sort of pre-celebration of Losar, the new year festival for Tibetan Buddhists that will be celebrated Feb. 5. 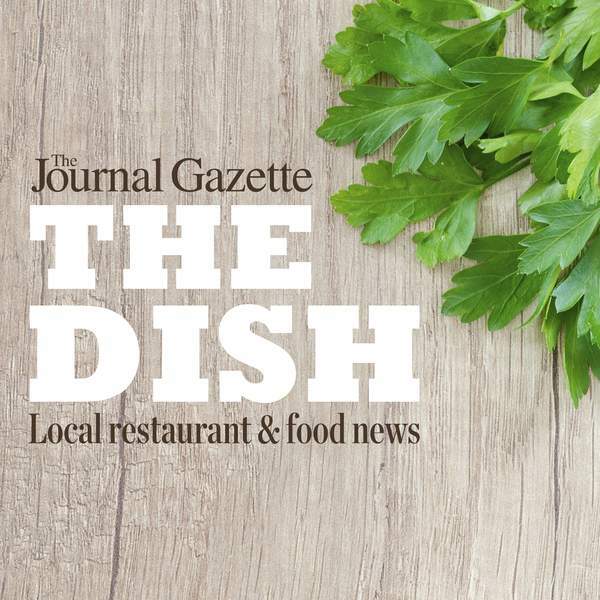 The Roanoke restaurant will work with the monks from Gaden Khachoe Shing Monastery near Bloomington and some of their followers in designing the menu and learning how to make their traditional foods and flavors. The menu includes a Tibetan-style Wagyu beef skewer, bone broth soup, Tibetan dumplings, vegetarian stir-fry and a rice dessert. The cost is $65 a person and includes cocktail and appetizers, dinner, tax and gratuity. A $10 donation from each ticket sale will go the monastery. Whether you are craving something savory or something sweet, local eateries are offering updated menu selections. • Venice Restaurant, 2242 Goshen Road, has added several selections for diners. Among them are a Caprese salad, Italian Caprese pasta, spinach-stuffed salmon and an Italian Antipasto grilled cheese sandwich with Capicola ham, Genoa salami, Provolone cheese, black olives, roasted red pepper strips. • The team at Sweets So Geek, 3410 N. Anthony Blvd., is working its magic with a Harry Potter-inspired menu. Options include the House Choice Cake, which is a brown sugar yellow cake with butterscotch and toffee bits and butterbeer frosting; Cauldron Cakes, chocolate cupcakes with marshmallow filling and chocolate ganache; Train Cart candy sampler; and Hagrid's Horchata Churro Pie. AA Poke Sushi Burrito and Poke Bowl is now open for business. The restaurant at 700 Coliseum Blvd. E. is a fast-casual concept that allows diners to build their own poke bowl or select from a menu of signature bowls, such as Tuna Lover and Hawaiian Island – a nod to the place where the poke craze began. There are also appetizers and bubble teas, among other options. Hours are 11 a.m. to 10 p.m. Monday through Thursday; 11 a.m. to 10:30 p.m. Friday and Saturday; and noon to 9 p.m. Sunday. Grand opening dates have been announced for two restaurants taking up residence on Coliseum Boulevard West. • Chick-Fil-A in front of Glenbrook Square will open Thursday, according to a statement on the restaurant's website. There will be an opening celebration and promotion beginning today for the first 100 customers in line, if you're looking to get there extra early. • CoreLife Eatery will host its public grand opening at 11 a.m. Jan. 31. It is at 407 Coliseum Blvd. W., site of the former Quaker Steak & Lube.